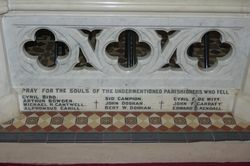 A set of communion rails commemorate parishioners who died in service or were killed in action during World War One. 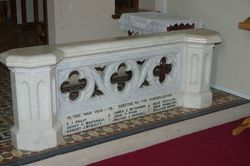 The rails were part of the new fittings and furnishings of the church extension which was consecrated on the 4th December 1921. 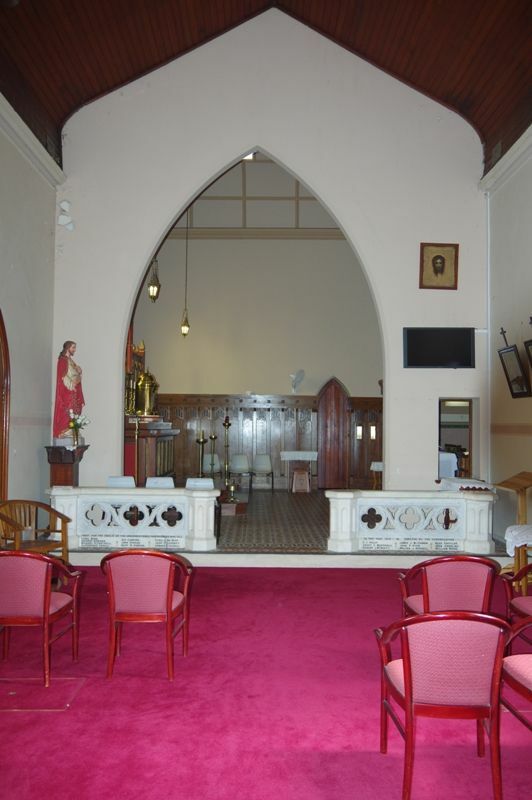 The extension, adds another 30 feet to the church, and is flanked by two massive towers, one of which is in commemoration of the centenary of the discovery of Patrick Plains on March 17, 1820, and the other in memory of the Catholic men of the parish killed at the war. The enlargement of the church will allow seating accommodation for over 200 more people and extra pews have been installed. The roof has been re-slated, and the walls of the old building have been renovated and brought into harmony with the new portion. Entirely new appointments and furnishings mark the interior of the church. 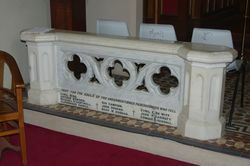 One of the most noticeable fittings is a set of communion rails of Rockhampton white marble, with brass gates. 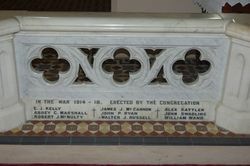 The rails cost £200 and the gates £60, and the names of fallen soldiers from the parish are inscribed at the foot of the marble railing. IN THE WAR 1914 - 18.